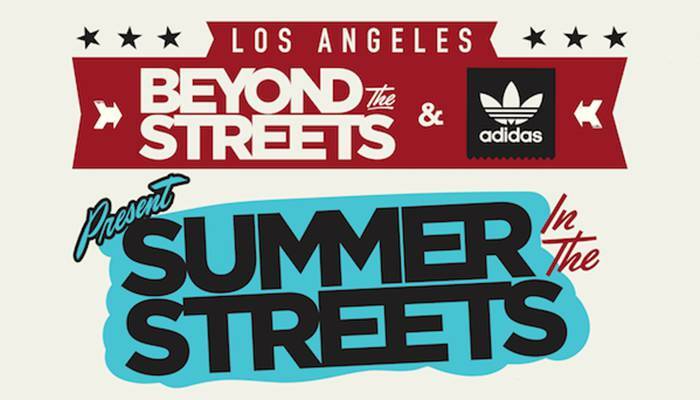 adidas Skateboarding has announced that incredibly popular Beyond The Streets event in LA will be extending through August 26. Seeing more than 60,000 attendees since its opening on May 6, the immersive museum experience will keep show doors open and deliver a summer program that includes weekly panel discussions, film screenings, lectures, music performances, limited edition collector’s releases, book and print signings, and much more. “Summer in the Streets” will play host to a special screening ofThis Is the End and Q&A with Seth Rogen and director Evan Goldberg (The Interview), discussions with renowned street photographer Estevan Oriol andartist Cleon Peterson along with a Jason “REVOK” zine signing. Additional highlights also include a screening of Thrashin’ with Natas Kaupas and cast, a Guerilla Girls lecture on modern feminism, and screening of cult classic Wild Style with a talk by director Charlie Ahearn, and more. The premiere exhibit will also expand its presentation with new works from Vhils and Greg “CRAOLA” Simkins, along with other surprises. Beyond The Streets is open every Friday, Saturday, and Sunday with special Thursday evening events and weekend surprises to be announced. Tickets for these events are available now. 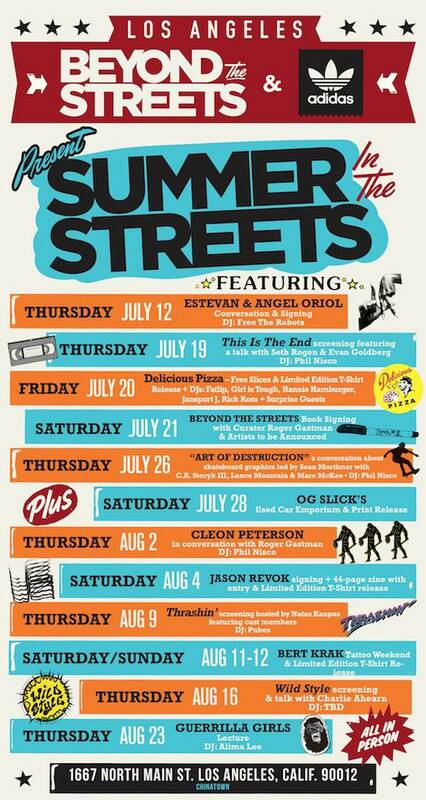 Download the Summer in the Streets schedule of special events HERE, and check out our recap of the Beyond The Streets art event here. Here’s another day in the life of the Berrics office staff, skateboarding’s most carpal-tunneled homies. The Hundreds got the real story from designer Brian Reid. It contains a perfect mix of key components.